A very Merry Christmas from the RDM blog! 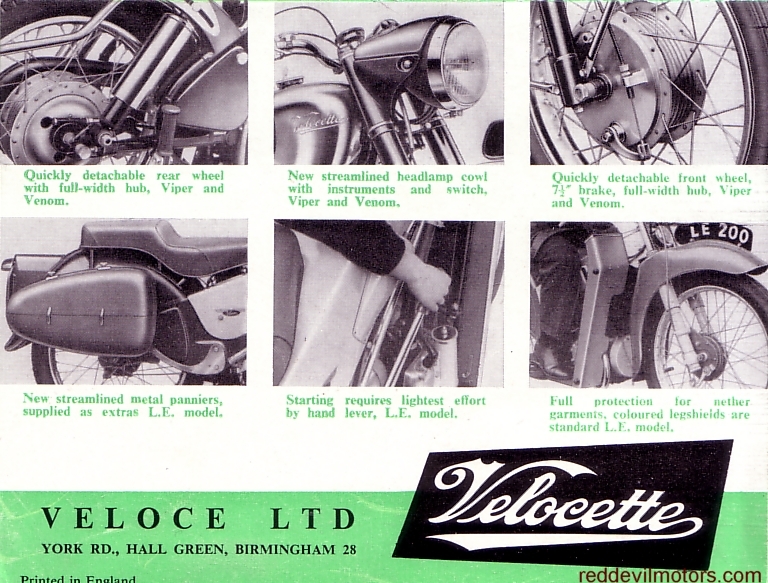 The Velocette brochure from 1956. 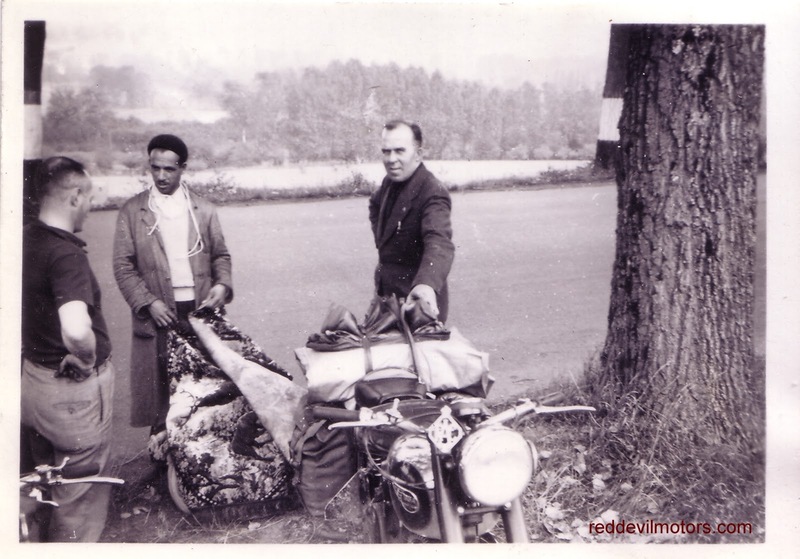 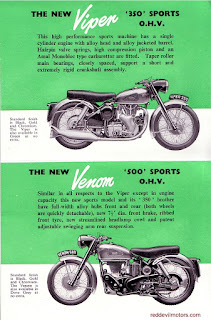 The Venom and Viper were new for the '56 model year bikes but actually appeared late '55. 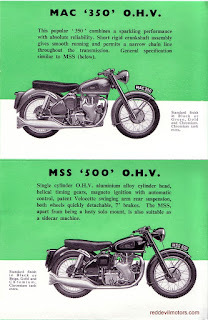 Later on in '56 the flat twin Valiant was introduced at the November Earls Court show as a '57 model. 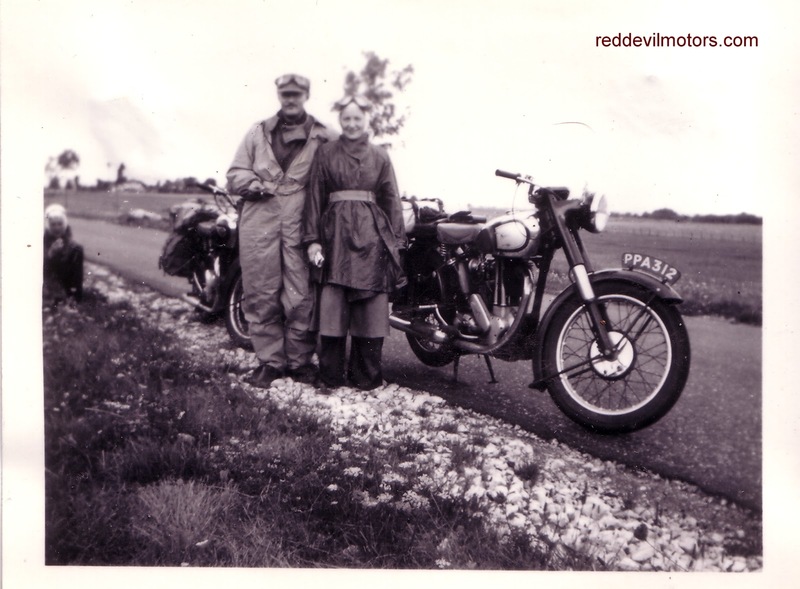 1956 Velocette brochure front cover. 1956 Velocette brochure page 1. 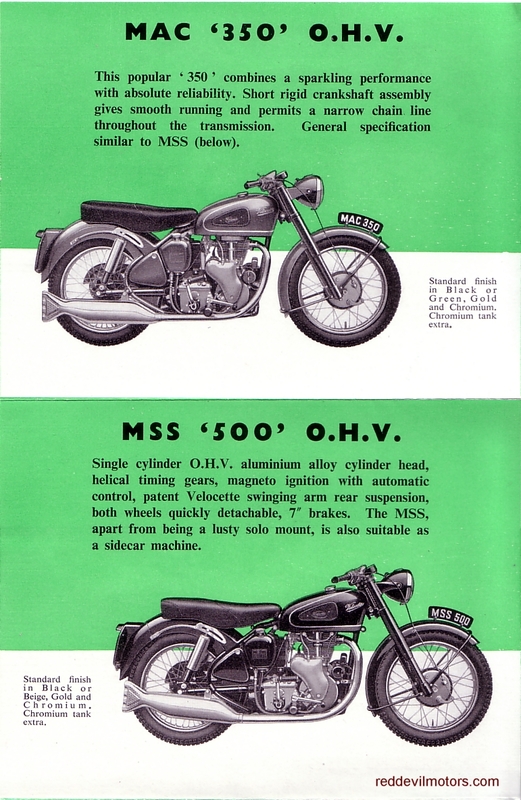 1956 Velocette brochure page 2. 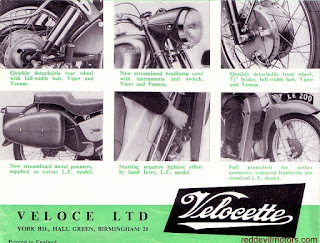 1956 Velocette brochure page 3. 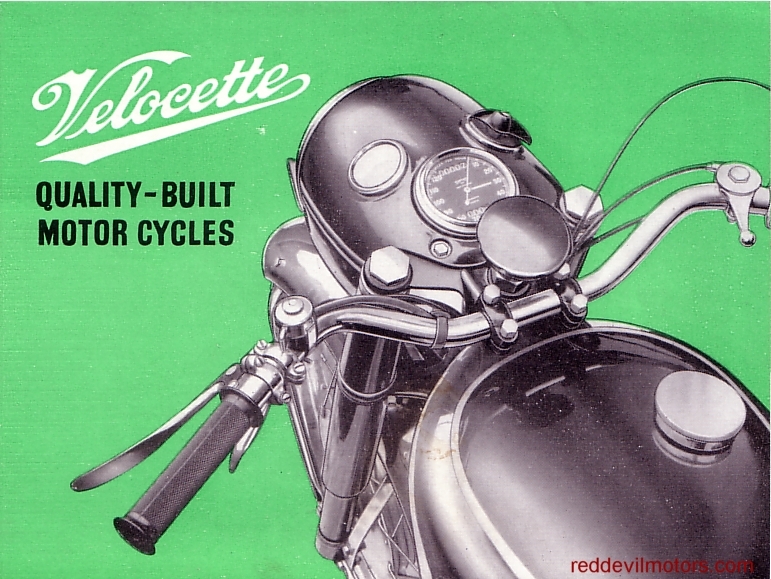 1956 Velocette brochure rear cover. 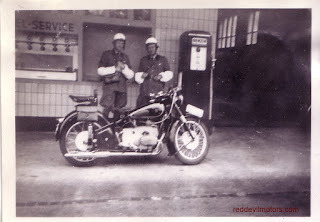 Blurry and badly cropped snap of an Indian combination dating from the early twenties. On the plus side the focus isn't too bad! 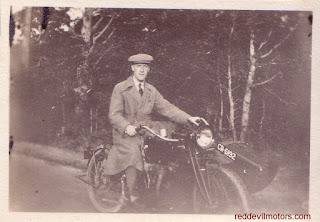 The CR prefix on the reg number denotes a vehicle registered in Portsmouth (UK). 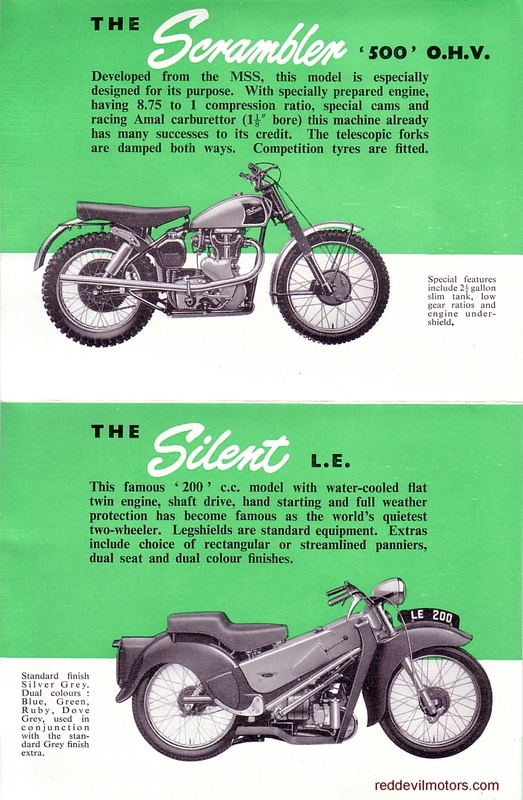 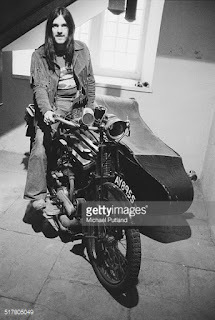 A series of images that came as a job lot from the same album. 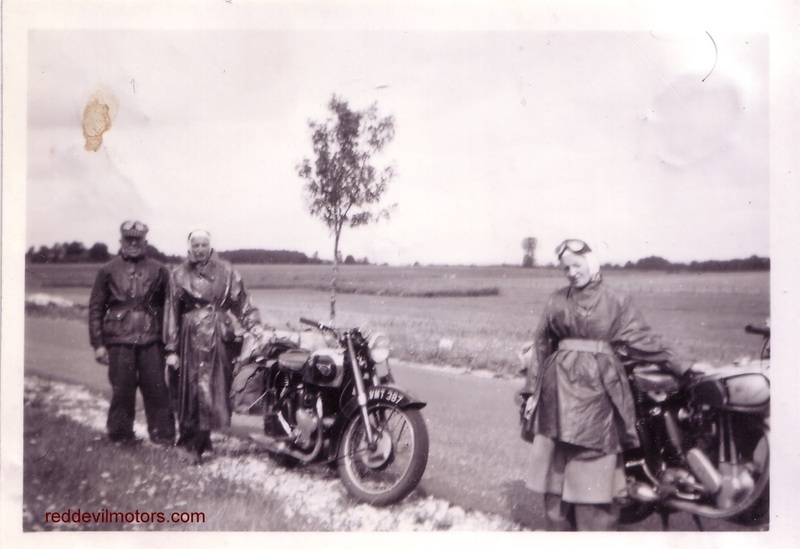 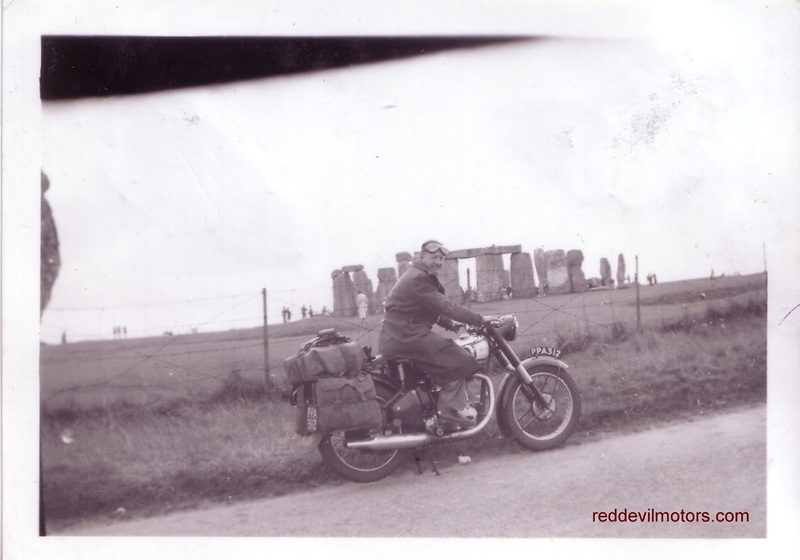 Mostly all continental touring in the early fifties though the Stonehenge image is very obviously in England. Somehow it seems right to keep them all together as a record even if the times and places are different. 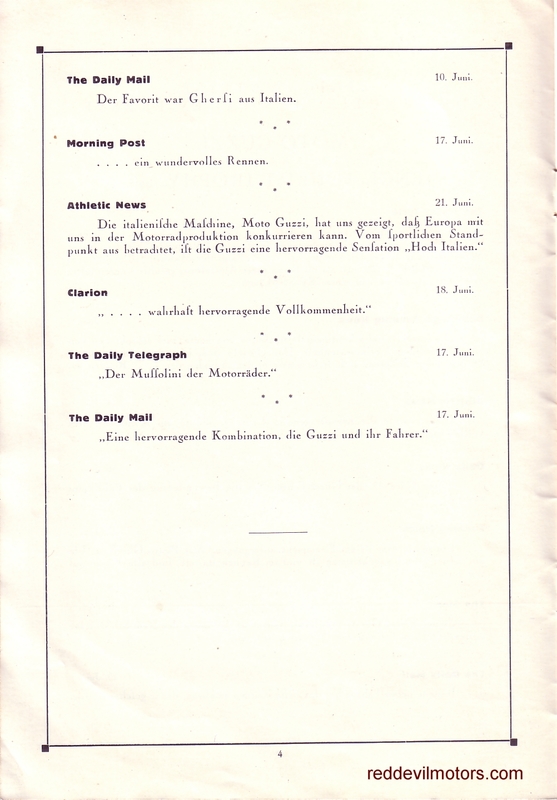 Where the images are annotated I've added this to the caption. 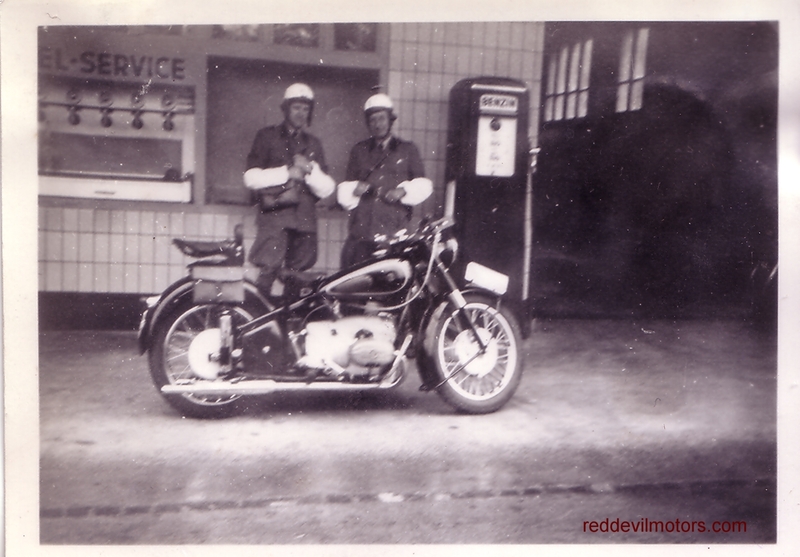 Spotted in Larnaka, Cyprus, a short while back whilst there for work. 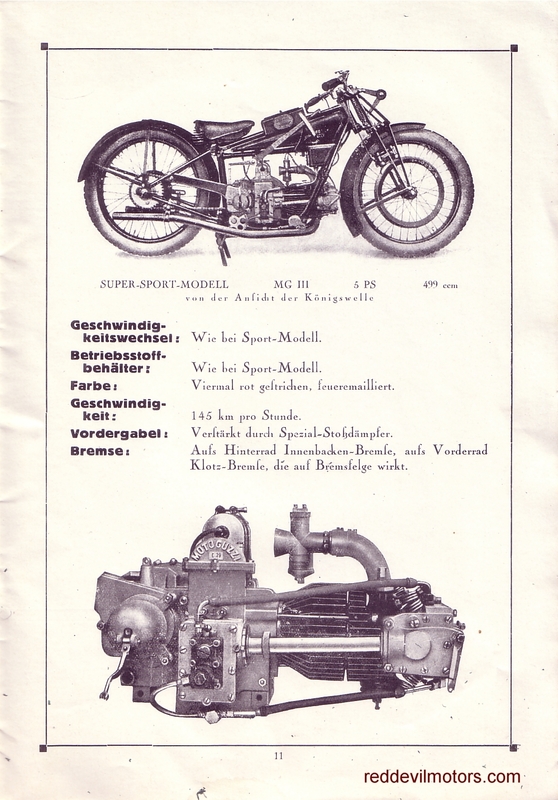 This Matchless (G15CSR?) 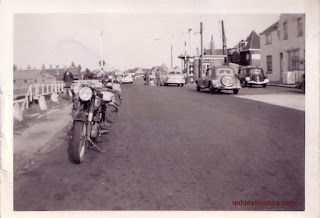 was parked up by a beach front cafe. 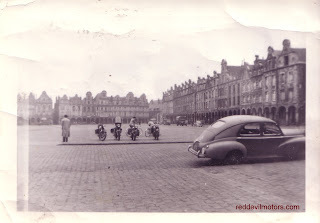 It seemed to be in regular use; I spotted the owner riding it sedately through the old town the following day too with his groceries on the back. 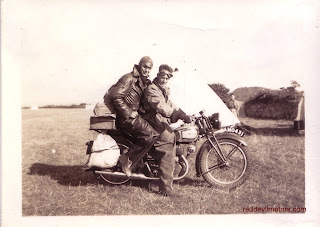 Top half of a BSA CB32 Gold Star. 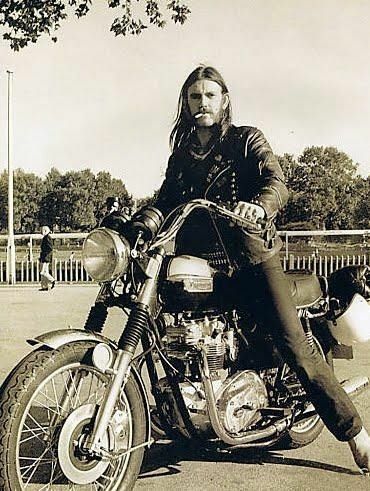 I've owned a CB32 Gold Star for longer than I care to remember. 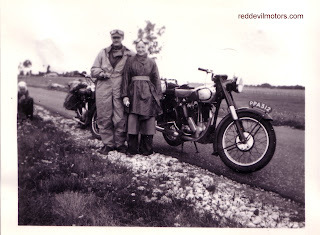 I say longer as in all the years of my ownership I've never gotten round to making it work properly. 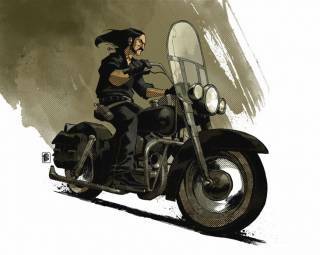 It's been a real heartache machine, there's not much intrinsically wrong with it but getting it working spot on has eluded me, and it's not through lack of effort. Time has come now that I'm fed up of seeing it on the bench and have decided to have a final push at getting it on the road for the next season. 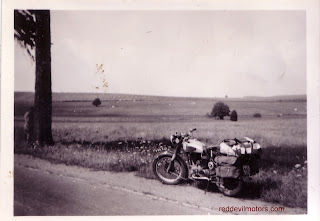 The last big go at making it work involved sending the motor off to a friend of a friend for a rebuild. 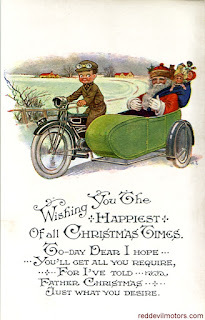 It came back all checked over but untested. 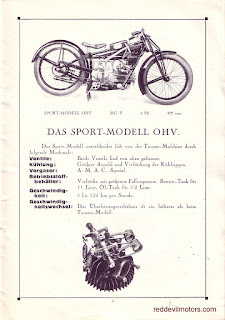 The motor was installed back in the bike and started up. 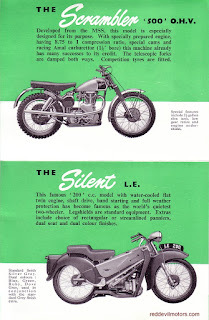 However there was a mysterious lack of compression. For various reasons disappointment set in and rather than get it sorted straight away the Goldie was put to one side again. 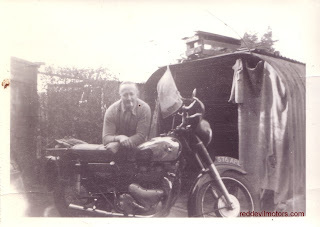 Since then various vain attempts have been made at sorting the bike without stripping it down. 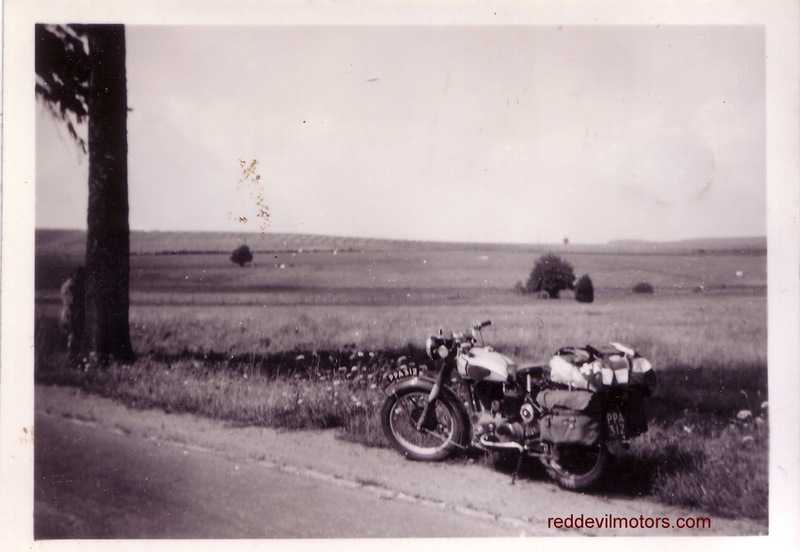 But now the time has come and the top end has been stripped. 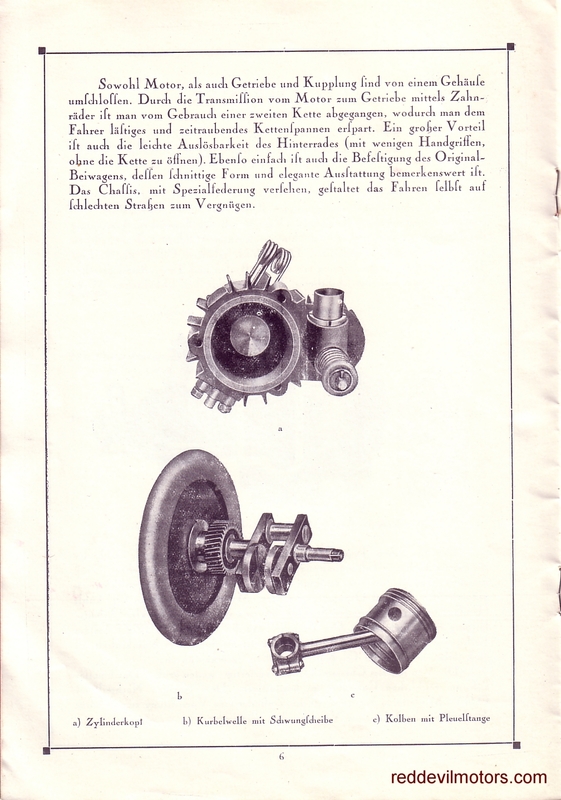 seal properly and the valve timing is right. 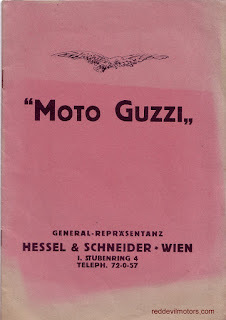 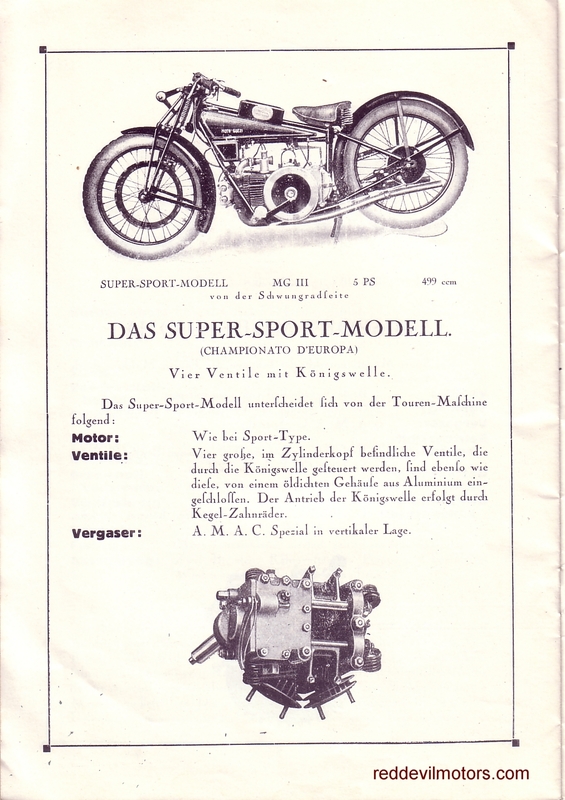 Here's something a bit rare and unusual, the Moto Guzzi range catalogue for 1927. 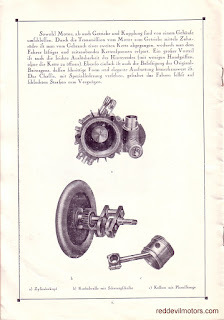 It's in German so great if you speak or are learning the language, if not then just enjoy the illustrations. 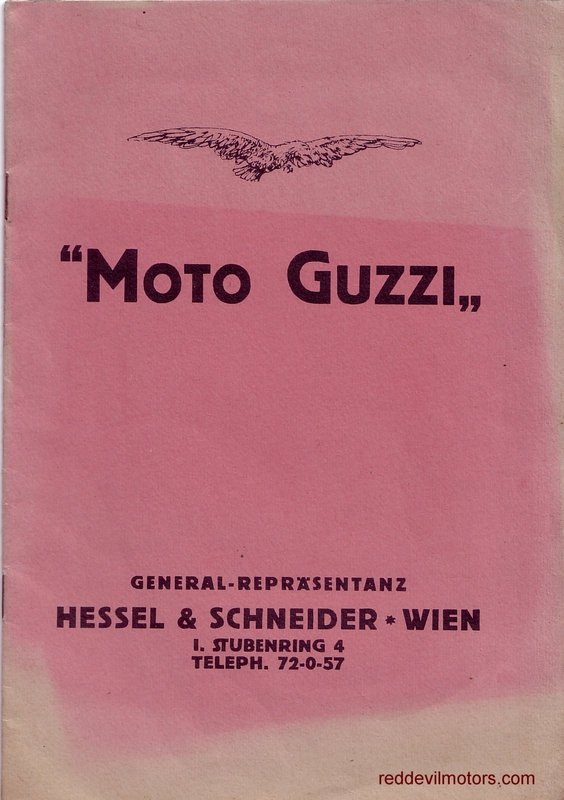 Moto Guzzi 1927 front cover. 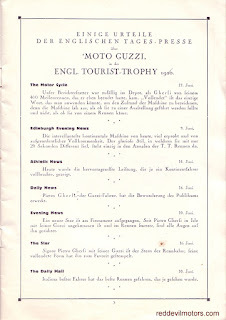 Moto Guzzi 1927 page 1. 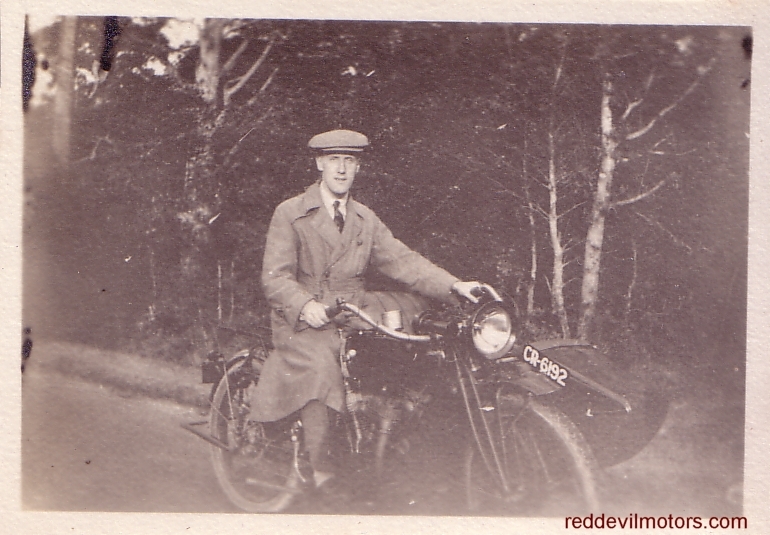 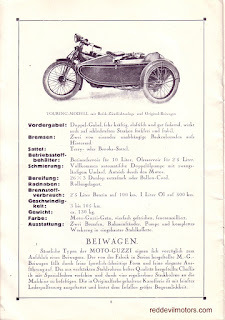 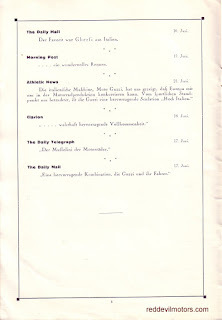 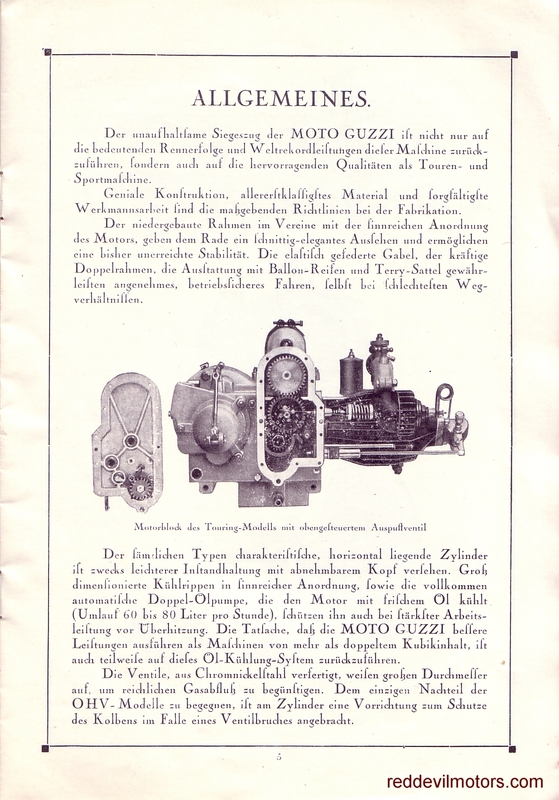 Moto Guzzi 1927 page 2. 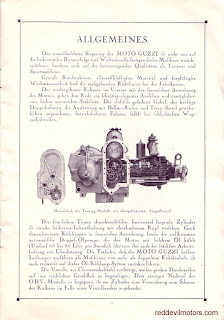 Moto Guzzi 1927 page 3. 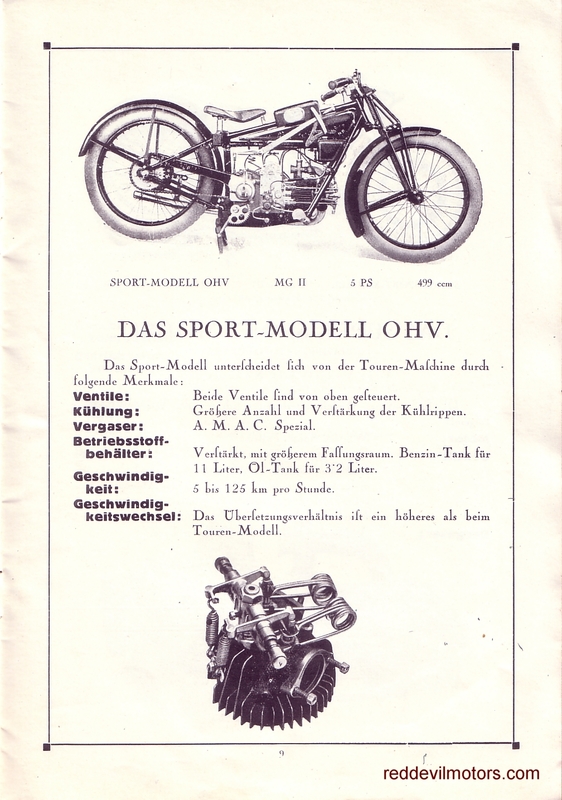 Moto Guzzi 1927 page 4. 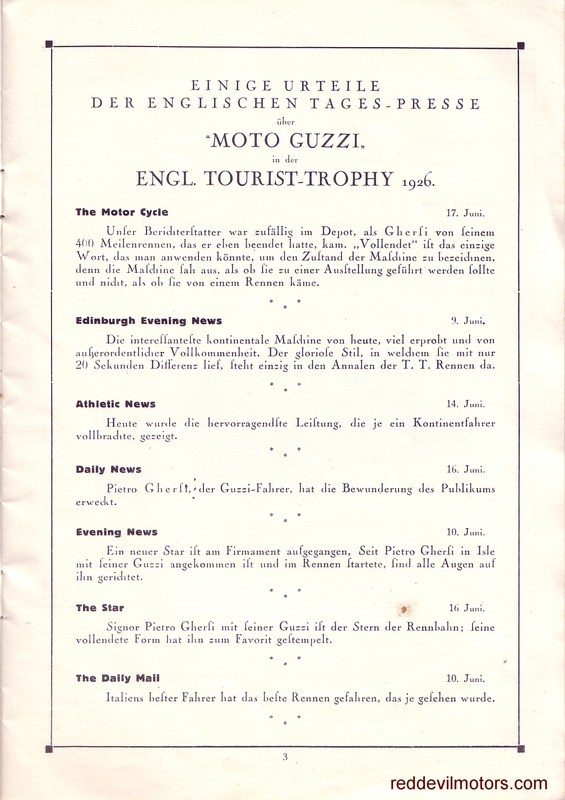 Moto Guzzi 1927 page 5. 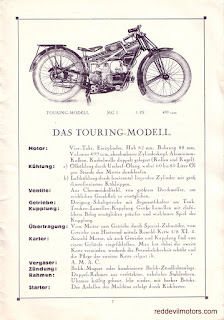 Moto Guzzi 1927 page 6. Moto Guzzi 1927 page 7. 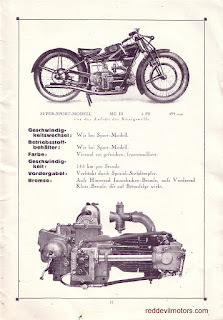 Moto Guzzi 1927 page 8. 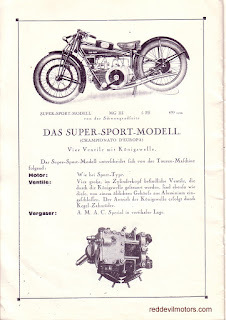 Moto Guzzi 1927 page 9. Spotted a few months back in Falcade in the Dolomites, a pair of Piaggio Apes. 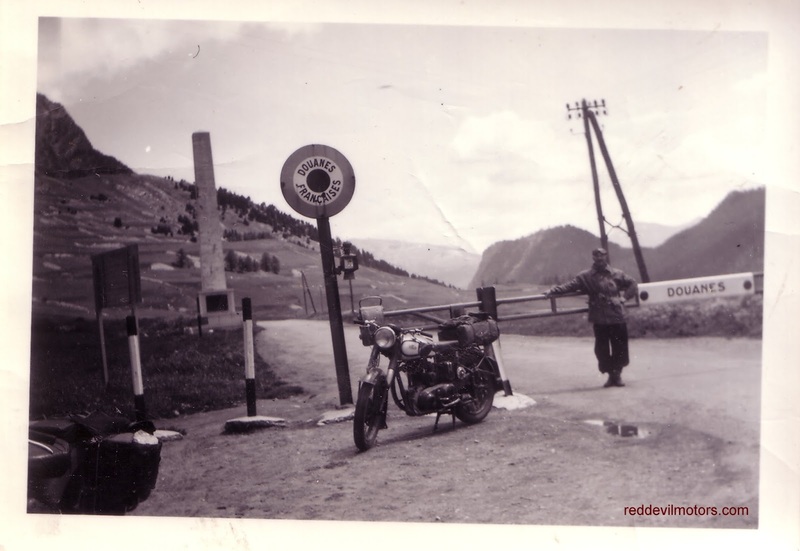 There were quite a few Apes out and about in the mountains. Great to see that they are still in use. 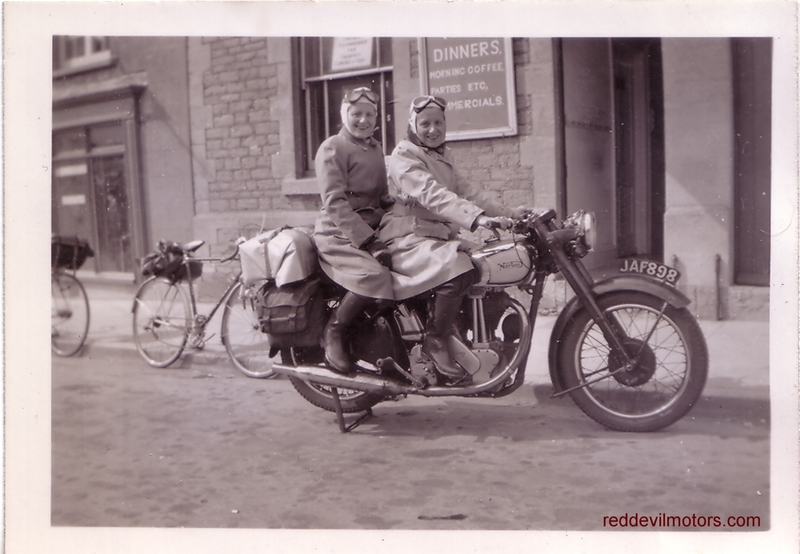 Fantastic period photo from around 1911 of two Thors and an Indian. 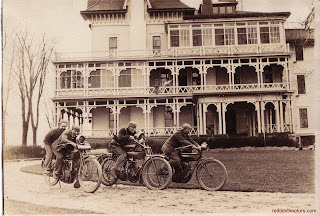 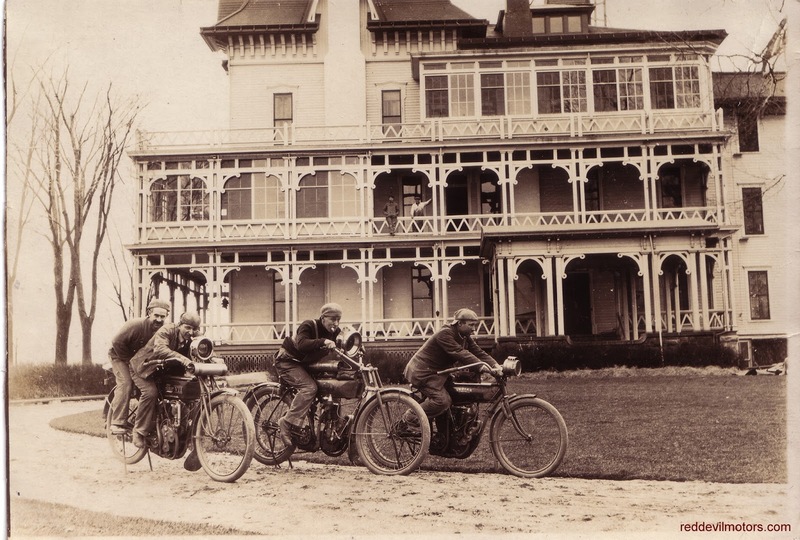 The picture is annotated '4 Carpenters outside our house' on the reverse.